The power usage in data centers has been increasing as servers become more powerful and the amount of data they’re storing and processing increases. Luckily, there is also a movement toward making data centers more energy efficient and better for the environment. Welcome to the age of the “Green” data center. Making your data center “green” can start from the ground up. Using building materials that are locally sourced, reused or low emissions can lower your carbon footprint. Getting some help from mother nature in the form of renewable energy sources or choosing to build in a cooler climate can save energy over time. And putting policies in place, such as waste recycling, paper shredding, and turning out the lights when an area isn’t being used can all contribute. But what can you do if your data center is already up and running? The first thing you can do is find out exactly how much energy you’re using today. Creating a baseline is essential to show your starting point and to measure your success as you work toward energy efficiency. This baseline should help you guide your long-term planning. Data centers are complicated and contain many interconnected systems. Heating, cooling, lighting, and the energy used by the servers should all be measured. Only by drilling down into each system to find inefficiencies and assessing their impact can you determine where updates need to be made. The exterior and interior environment of your data center impact the efficiency of the equipment running inside. There are several things you can do to increase the efficiency of your climate control system. Follow ASHRAE Guidelines – The guidelines put in place by the American Society of Heating, Refrigerating and Air-Conditioning Engineers offer helpful tips to reduce power consumption. Leverage the weather outside – If you are in a cool climate or season, find ways to bring the chilly outside air in to assist in cooling your equipment. Installing variable-frequency drives – Using these drives to reduce the rotational speed of the compressor can reduce energy consumption. Get the most from your AC – Most air conditioners are most efficient at 78 degrees in warm weather. You’ll get the most from your investment by maximizing the efficiency of your AC. Contain your climate – Use physical barriers to contain and separate hot and cold air flowing through the data center. Preventing the air from mixing will keep the temperature optimized. By making sure you’re using your power as efficiently as possible, you will save on energy costs. There are a few changes you can make to the ways you use power in your data center. Use Eco mode – The uninterruptible power supplies (USPs) used by data centers have several modes of operation. Eco mode is the most efficient setting and can improve power usage effectiveness. 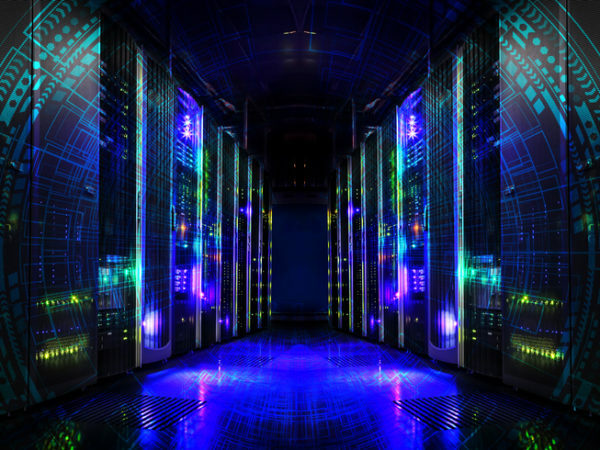 Leverage renewable energy – Renewable energy sources may not be appropriate for the primary power of your data center but can be leveraged in other ways. Use it to power backup generators, lighting systems or other non-essential energy needs. Look to your lights – Using energy efficient light bulbs, motion activation for lighting and “turn out the light behind you” policies can save energy. Turning off the lights overnight can also save energy during off hours. Updating your equipment or making some changes can save energy or reduce energy consumption in your data center. Update your equipment – If you are using older equipment or your equipment isn’t optimized for energy efficiency, you can replace it with newer models. Consider thin client PCs that use less power than other models. Use virtualization – Get the most of your servers by using virtualization to run several instances on each machine. This will lower power consumption and maximize computing power. Eliminate gaps – Using blank rack panes to fill gaps in server racks makes heating and cooling more effective by creating a contained environment. In addition to having a recycling bin in the break room, there are other ways you can recycle in the data center. Reuse and repurpose equipment – Finding ways to reuse or repurpose equipment will save you money and reduce waste. Consider buying used – Instead of buying new equipment, look for used gear that can serve your purpose. It’s often much more affordable than new and prevents perfectly good equipment from ending up in a landfill. At Summit, we believe in the environmental and cost-saving benefits of refurbished equipment. We can also find you the best price on new hardware. Contact us to find the equipment you’re looking for at a price you can trust.